Introducing our latest collaboration with O-M ceramic with pops of color and playful shapes! 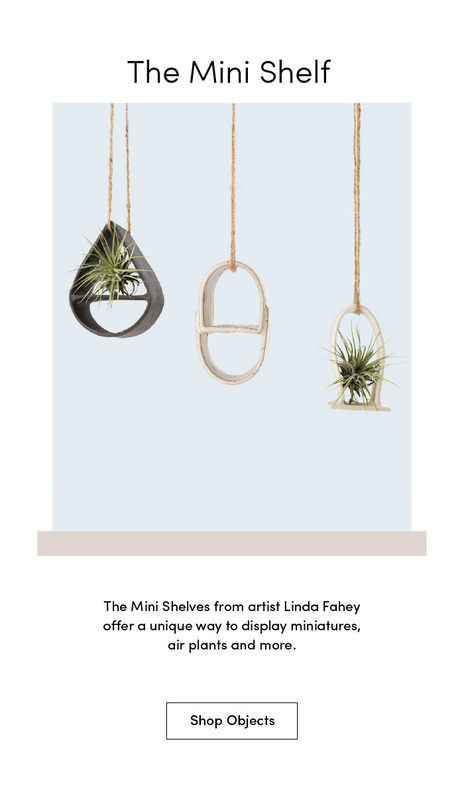 The Mini Shelve from Linda Fahey offer a unique way to display miniatures, air plants and more. O-M Ceramic is a Los Angeles based ceramic studio focused on minimal and contemporary form, created by ceramicist Carrie Lau. Her work is distinguished by its modern and curvilinear form, as well as the playful movement and naturalistic tension of its composition. Linda Fahey is a ceramic artist making her own line of ceramics, all inspired by a life lived by the coast. Her work is shown at respected shows in the Bay Area throughout the year, and is available nationally and internationally. Copyright 2018 Poketo. All Rights Reserved.